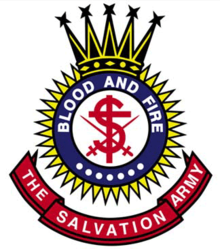 In just under a month the High Council will meet, pray, deliberate and finally elect a new General of This Salvation Army. Its message and mission is still relevant. This movement that started with William and Catherine Booth must and will carry on. There is still a war waging in our world. Not a war of flesh and blood, though it is most certainly involved, but a spiritual battle for the very souls of men and women. That is why, we as soldiers of this army, must continue to fight and be proactive in this campaign. ONE ARMY, ONE MISSION, ONE MESSAGE: It still applies! It is still active, and I feel as if this message, this vision ought to continue and to be built upon! Far too often, I fear that when new leaders take on their new responsibilities so too they cast new visions far too quickly! Sometimes this type of leadership change model can disillusion constituents, making them frustrated and wandering in every which way directionally speaking. This “take control leadership” approach, which produces a new vision while forgetting the old vision, can lead to a polarizing and dysfunctional army. I don’t presume to have any power or say in this at all by any means but I do hope our next General would be sensitive to the path that has already been paved and to walk on its already laid foundation. Understandably there are many political sociological ‘hot-button’ topics throughout our global army. The continued need of our army leadership to pursue mission and purpose that is consistently relevant to the world in which we serve is of the utmost importance. This should include our perspectives and application of worship, service and all aspects of our holistic ministry. I’ve heard this many times in previous conversations and I believe this is most definitely pertinent to the position of General of The Salvation Army as well as our immediate leaders. If our local officers and soldiery are provided transparency at the local level with message, ministry and finance; ought our territorial, national and international leadership also follow suit as well? Absolutely! Be genuine and transparent to those you lead! We continue to need leadership who will rise up and lead not because they are fearful of repercussions of others but to lead out of conviction and biblical authority. I have served under leaders who have been holy leaders. These types of leaders are respected and loved. When you have a leader who leads through holiness you will find a stronger army at the core. Holiness in leadership is crucial, without it they’re just another business administrator/CEO. True leaders are willing to lead with the promptings of the Holy Spirit and who are unafraid to risk and to adapt and change in an ever changing world. These are just a few attributes I hope and pray our next General possess. 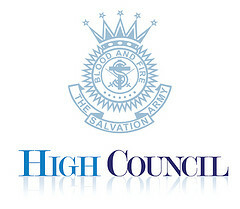 We all can surround our High Council in prayer…and we should. And I also acknowledge that the Lord will provide and lead. By faith I believe that He will provide us the right General for just this moment in time. And I also believe that God will continue to rise up our future leaders who can carry on this great mission and propel His Great Commission into every territory in the world! What would attributes would you like to see within our new General?